Most of the time American drivers use our roads and highways as merely a means to an end. We drive on the roads just to get to our destinations. It was not always this way. The term “Sunday driver” refers to the early days of the automobile when it was still an exciting adventure to go exploring by car after the big meal on Sunday. Nowadays we take it for granted that it is no big deal to spend a weekend at a destination several states away. So we hurry along the road to get where we are going. There are a few exceptions. Bikers have a reputation for embracing the drive as well as the destination, but automobile drivers can adopt this attitude also. The Pacific Coast Highway in California and Blue Ridge Parkway in North Carolina and Virginia both offer an abundance of beautiful scenery as well as some scary turns for the passengers. Route 66 is an iconic trip down memory lane. Closer to home, Central Florida offers many less trumpeted opportunities for a beautiful Sunday (or any other day) drive. If you are in Florida, you are never more than sixty miles from the ocean. Our coastlines offer several opportunities for scenic drives that many locals take for granted. For example, the causeways leading from the mainland to the beachside offer fabulous views for miles in each direction. Next time you are crossing a causeway in either direction take a moment to appreciate the fantastic scenery around you. US Highway 1 runs mostly parallel to the Intracoastal Waterway along the eastern coast of Florida. Some of the neighborhoods to the west of US 1 have seen better days, but the view to the east is almost always lovely. On the beachside, AIA gives drivers and passengers a nice view of the beach and some nice neighborhoods. It is hard to imagine a more scenic drive than the “on the beach” driving experience offered for a fee on the hard-packed sand of St. Augustine Beach, Daytona Beach and New Smyrna Beach. If you are ready to hit the road, be sure to swing by Cassels Garage and let us make sure your vehicle is up to the task. We are located in West Melbourne, Florida and are a family-owned shop that is well equipped to diagnose and repair your car. 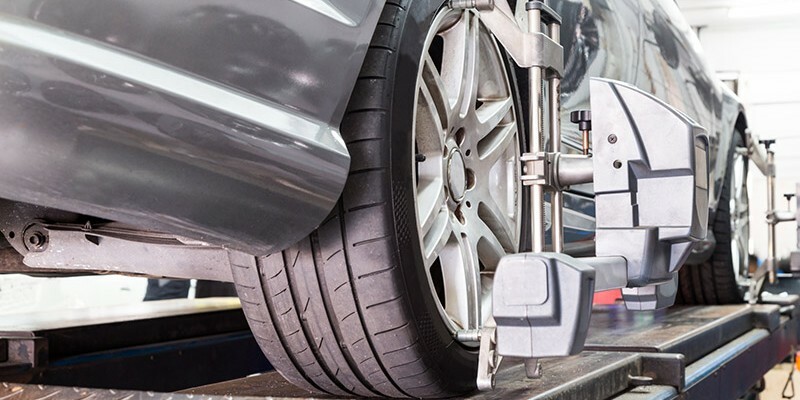 You can count on a fair price, and you can depend on us to perform the repairs that your vehicle actually needs.